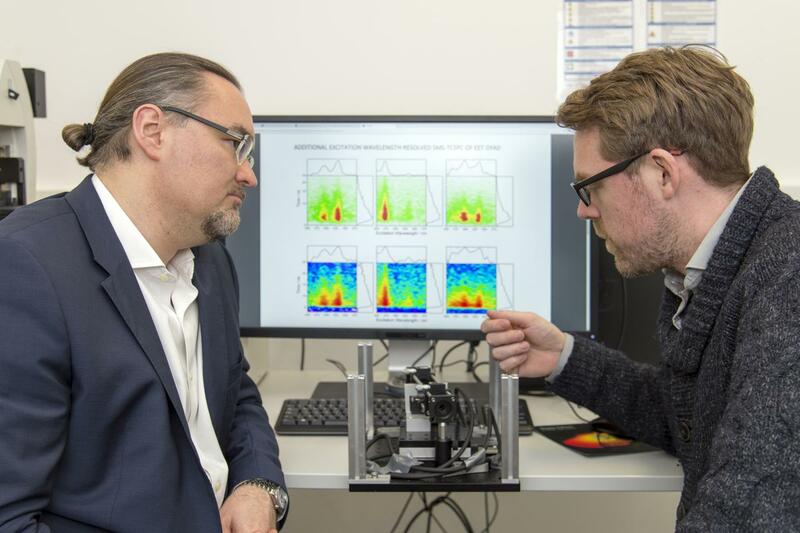 While spectroscopic measurements are normally averaged over myriad molecules, a new method developed by researchers at the Technical University of Munich (TUM) provides precise information about the interaction of individual molecules with their environment. This will accelerate the identification of efficient molecules for future photovoltaic technologies, for example. The influence of solvents at the single molecule level is still poorly understood. The chemists also want to display the flow of energy in a time-resolved manner to understand why energy flows faster and more efficiently in certain molecules than in others. “Specifically, we are interested in the transfer of energy in biological systems in which photosynthesis takes place,” says Hauer. The researchers have cast their view on the light collection complex LH2 for future applications. “Once we understand the natural light-harvesting complexes, we can start thinking about artificial systems for deployment in photovoltaics,” says Hauer. The findings could form the basis for future technologies in photovoltaics. The goal is the development of a novel organic solar cell. The research was supported by the European Research Council (ERC), the European Initiative Laserlab-Europe, the Austrian Fund for the Promotion of Scientific Research (FWF) and the Danish Council of Independent Research (DFF). The publication resulted from a cooperation between the Politecnico di Milano, the University of Copenhagen and the TU Munich.